Do you have a better photo of Afolabi? Lost to gun violence on August 15, 2014 in Norcross, Georgia. Wife of Nigerian cab driver killed in Atlanta says Coming to America has turned into nightmare. 20 candles have been lit for Afolabi. Light a candle for Afolabi. 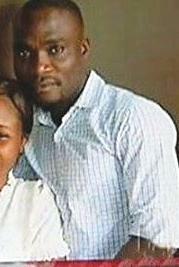 Ask your friends to light a candle or come back tomorrow to light another candle for Afolabi.